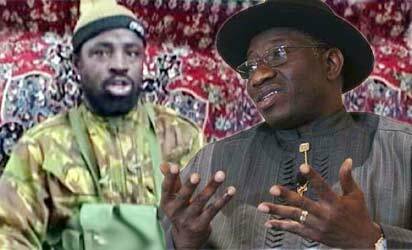 In what appears as a contradiction of a ceasefire deal announced last week by Special Duties Minister, Kabiru Turaki, President Goodluck Jonathan has denied any peace deal between the Federal Government and the Boko Haram islamist sect. Jonathan, who disclosed this in an interview broadcast by Cable Network News, CNN on Friday said his administration was already winning the war against terrorist groups in the country. This, however, contradicted an earlier claim by Turaki who had said the Federal Government has a ceasefire understanding with the mainstream Boko Haram led by the late Mohammed Yusuf. He had said the government was working on broader terms for the ceasefire and will unfold it soon. On the approach being used to fight the scourge, Jonathan said: “Of course, you tackle terror from various angles. First of all, you must stop them or reduce their effect by military intervention. That we have done, and that is why we declared a state of emergency in the three states, where those terror attacks were predominant. In Nigeria, for you to enter a house, whether a living home, a factory or a religious place, you must get a search warrant approved by a court but where you declare a state of emergency, the security people are free to enter even your bedroom if they suspect there is a criminal there. So, the issue of state of emergency helps security people to search freely without contravening any law and we are doing that and it is helping us to apprehend a good number of them. is our presido afraid of bh, why is he talking about ceasefire when nobody is talking about it anymore. our dear president, God almighty will grant u the strength 2 fight 2 finish. we must conquer. Am tired of this people killing innocent soul, and because their family is not in nigeria that is why they are killing anyhow.